Daniel Ryan joined Atlantic American Partners in 2018 as Managing Director of Emerging Markets – Africa. In this capacity, he oversees the firm’s marketing endeavors in emerging countries, with a focus on Africa. Prior to joining Atlantic American, Daniel lived for 10+ years in Lilongwe, Malawi, Africa, where he co-founded and served as Executive Director for Development Consulting Solutions, a management consulting and organizational development firm based in Africa. There, Daniel and his team developed an extensive and highly-respected client list including The Reserve Bank of Malawi, The World Bank, USAID/FHI360, The European Union, and numerous other non-profit/NGO Humanitarian organizations, performing various economic development and educational-related/capacity building consultancies throughout Sub-Saharan Africa. Daniel began his career in commercial banking; first completing the management training program at Bank of America where he worked as a real estate lending officer, and then joined Sun Trust Bank, where he concentrated on larger commercial real estate construction and mini-perm lending activities throughout southeastern United States. Daniel then worked as Vice President of Real Estate Development for Green Street Development in Orlando, Florida, before relocating to Denver, Colorado where he worked as Director of Land Acquisition/Government Entitlements for D.R. Horton, a NYSE-listed national home builder. 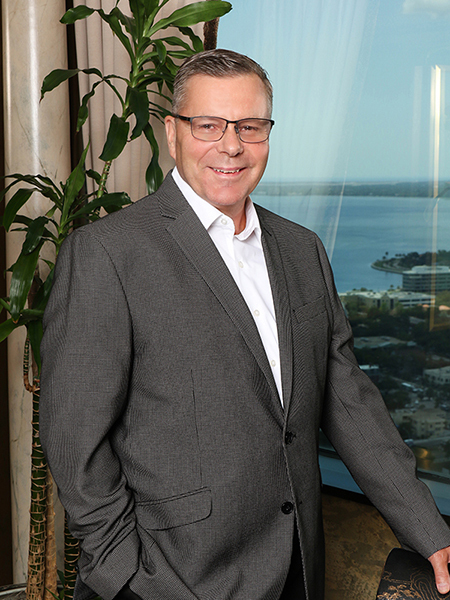 In 2008, Daniel returned to Florida to work for Forge Capital Partners, where he focused on pre-development entitlement and permitting approval processes for the firm’s development initiatives. Daniel holds a Bachelor Degree in Business Administration-Finance, a Masters Degree in Organizational Development/Education, and is currently working on a Ph.D. in Business Administration-Strategic Management with a dissertation focused on economic development throughout Sub-Saharan Africa. Daniel spent three years as an active Board of Trustee Director for Partners in Hope, HIV-AIDS Medical Hospital in Lilongwe, Malawi, which is recognized as one of the premier “free” HIV/AIDS full-scale hospitals throughout Sub-Saharan Africa. In addition, Daniel has been involved in humanitarian-related economic development and educational empowerment activities in other international countries including Indonesia, Taiwan, and Mexico, as well as lower socio-economic areas of the United States.